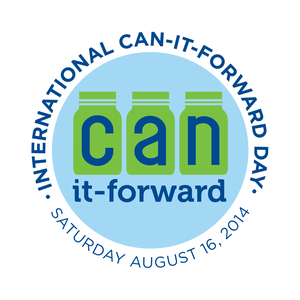 Today is International Can It Forward Day! You still have time to connect! While you are watching they will be answering your questions in real time. As you would expect there are segments on canning, but I'm most excited about the sessions exploring alternative uses for Ball canning jars. They will also be introducing their new drinkware line! Oh, and then there's the matter of attempting a Guinness World Record for the World’s Largest Mason Jar Mosaic! I was excited to receive a package from Ball this week containing pint and quart jars manufactured to celebrate the 100 year anniversary of the Ball brothers’ “Perfection” Jar . 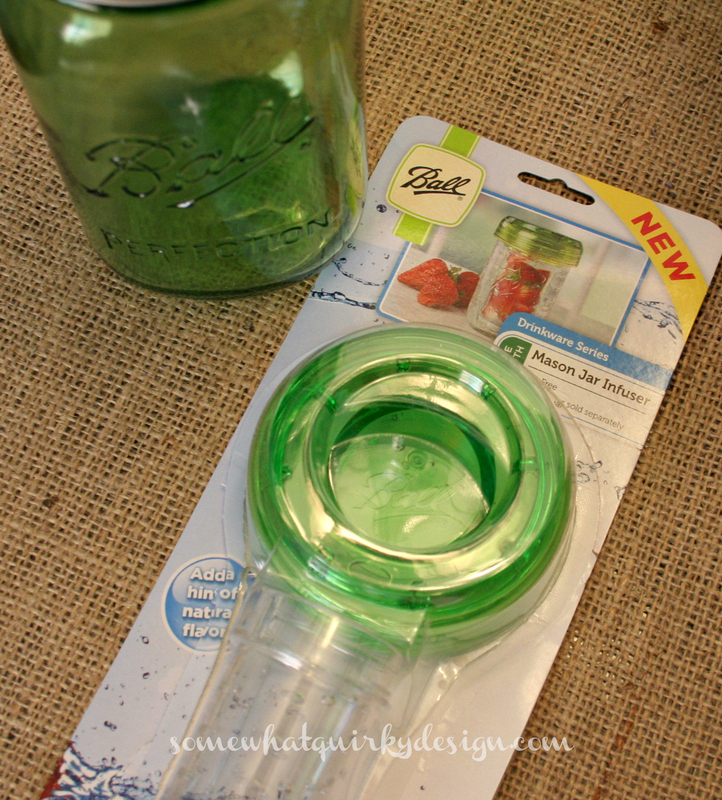 I also received one of the new drinkware products - the Ball Mason Jar Infuser. And look at this - it's perfectly color coordinated to go with the beautiful green tint of the Anniversary Jars! 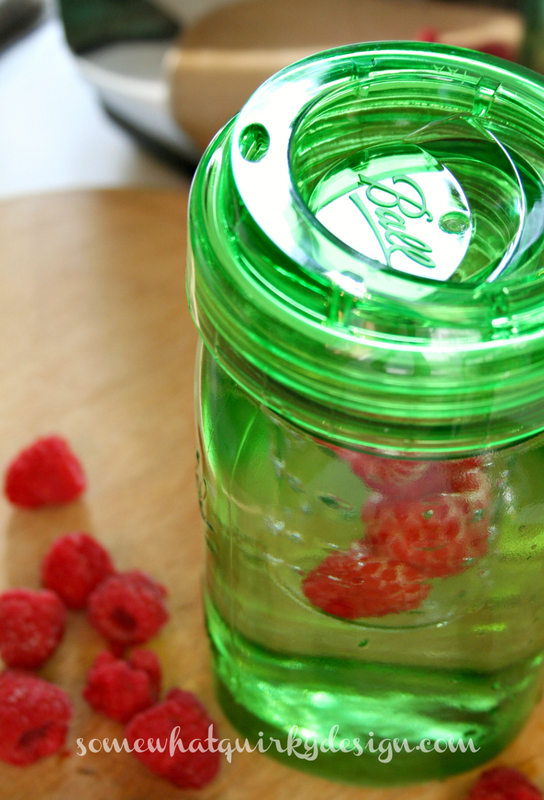 I'm kind-of a raspberry freak so I couldn't wait to throw some in and start infusing some water. Now I know Mr. Quirky won't drink my water, because he hates raspberries! Then I took advantage of my new supply of Ball jars to try out one of the hundreds of alternative uses for Ball jars. 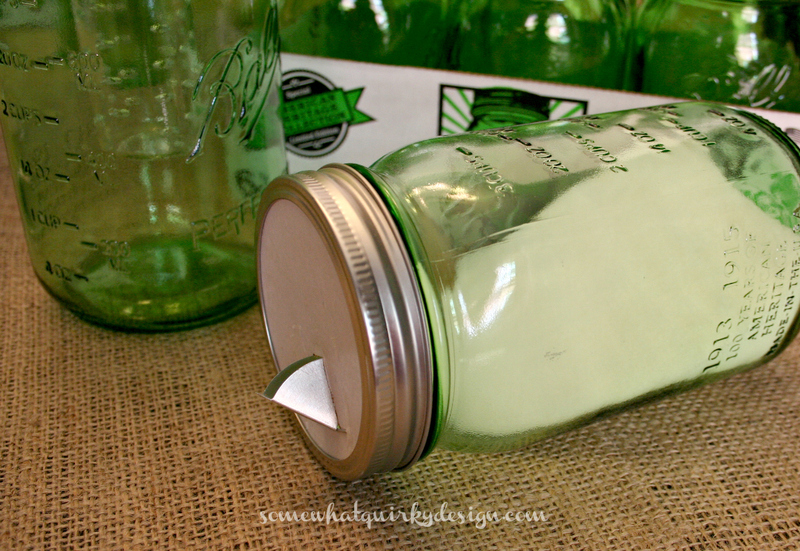 A salt storage jar! No more oh so tacky navy blue paper canisters of salt. 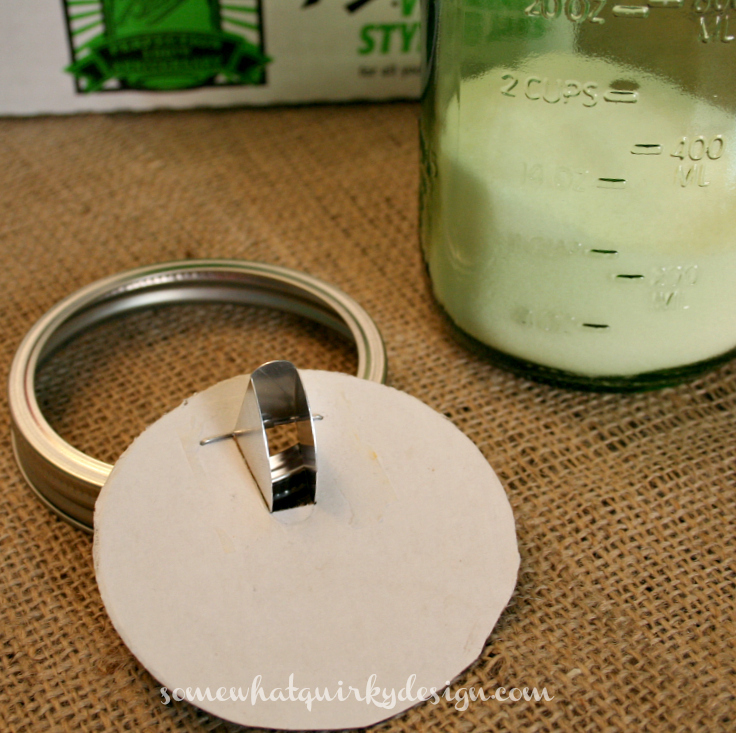 All you have to do is cut the top off the salt canister and replace the disk from the Ball jar lid. I love my green Ball jars. Thank you Ball for sending them to me! And thank you for offering me extra jars so that I can give some away to my readers. 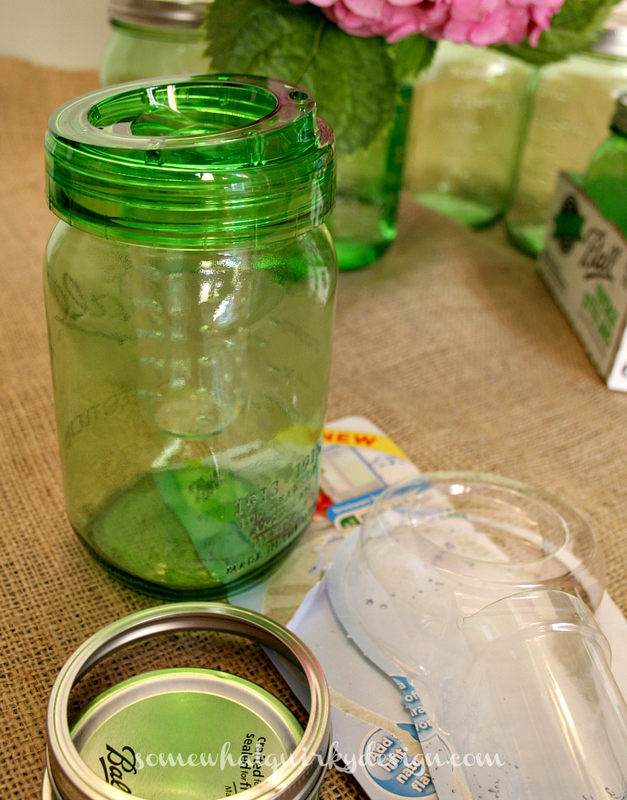 I'm giving away one case of quart jars and one case of pint jars! The green ones! Just leave me a comment and tell me your favorite use for your ball jars. You have until Saturday, August 23 to enter to win. I will announce the winner on Sunday, August 24. Make sure I have an email so I can let you know when you win! Don't forget to follow this link to directly with the live broadcasts, or link here to find out more about Ball products and tools, the Ball fresh herbs series, the Ball spring green mason jars, and of course, canning tips and recipes. Maybe I'm weird, but I'd probably use some new Ball jars to actually can something! Canning, keeping rice, macaroni, storage, cut flowers. Their usage is endless! I love my jars!!!!! I didn't get these lids and I definitely want some! LOVE! Well, you KNOW I need an infuser! I love these giveaways with stuff I can actually use! I keep my tea bags in a jar, sugar, and now with the helpful hint, SALT!I love the green - I missed getting blue ones last year. Will be looking for the infuser. I love them for holding tealights during a back yard party. The green ones would be especially pretty in the garden at night! I'm using mine for lamps at the present time. However, have a zillion other projects to do later. I use my Ball jars for flowers... and craft room storage too! Love using Ball™ jars for flowers! Good luck with your give-away girl! 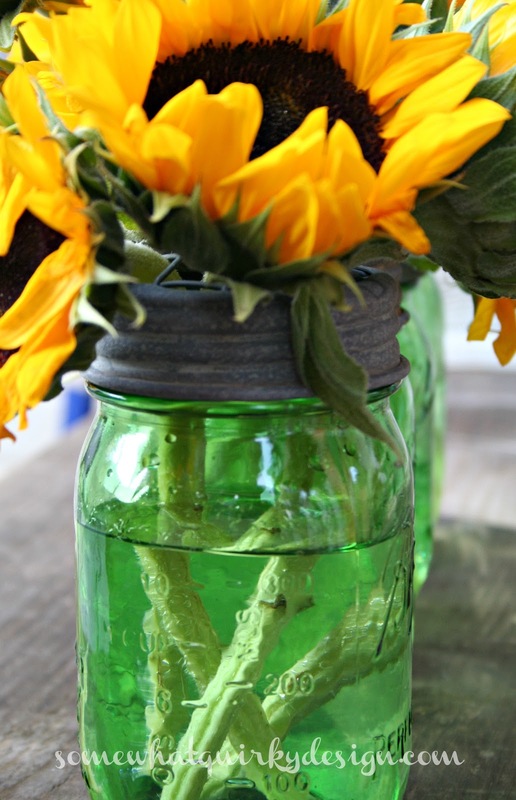 I use Ball jars for craft storage and flowers. I love using ball jars for canning veggies. Canning, craft storage and to hold cut flowers. I use them in my bathroom to put vitamins in! I would love to win the green jars!!! My current favorite use is storage for my kitchen utensils. So inch better than shoving them in a drawer! I am pretty boring with my Ball jars. I have daisy cut out lids and I drink my tea from the jars with a strawa stuck through the center of the daisy. I love the colored jars - I have the blue ones. I love them for flowers, but I also use them to sort things in my craft room, and also for drinking! I love Bell Mason jars! Thanks for this awesome giveaway. I would use mine for drinking and cute storage in my bathroom. Hi Karen, I love both the green and the blue ball jars! They are so fun to pull out for parties and I use them to hold the utensils. I love how you used yours to hold salt. Clever idea to cut off the top of the salt. I will be doing that as well. I use them often in my vignettes, but my favorite use of them has to be to hold flowers! Thanks for offering this great give away. Well, I just love your salt dispenser idea and am so glad the jars are now available in something other than blue. I love returning the Ball jars to the one who canned something for me! lol I made jam/preserves and canned tomatoes eons ago. I love the salt container you fashioned out of the salt box adapting it to the jar. Sweet idea! 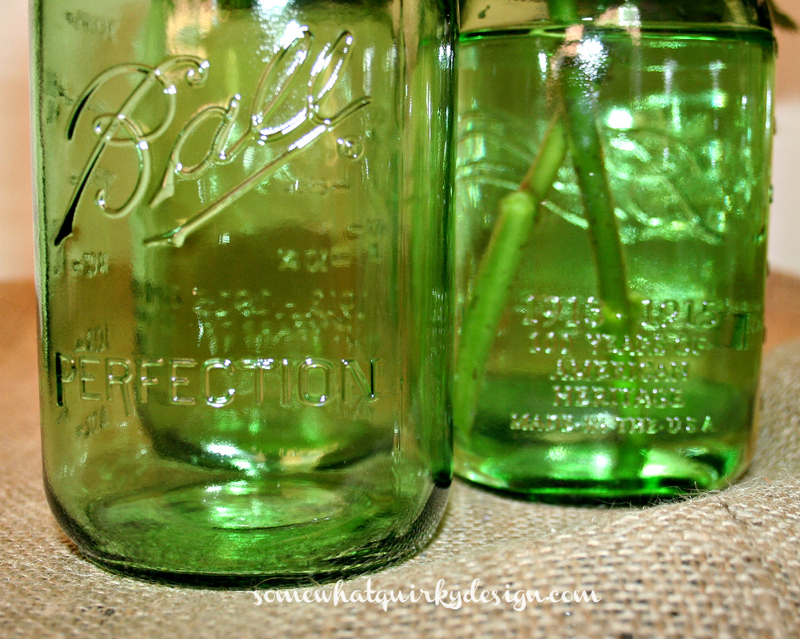 I use my Bell jars as canisters, but i love the infusers and will look for those in the stores. I would use them to can. But that's not it, maybe some flowers now and then. Oh and the salt idea rocks! 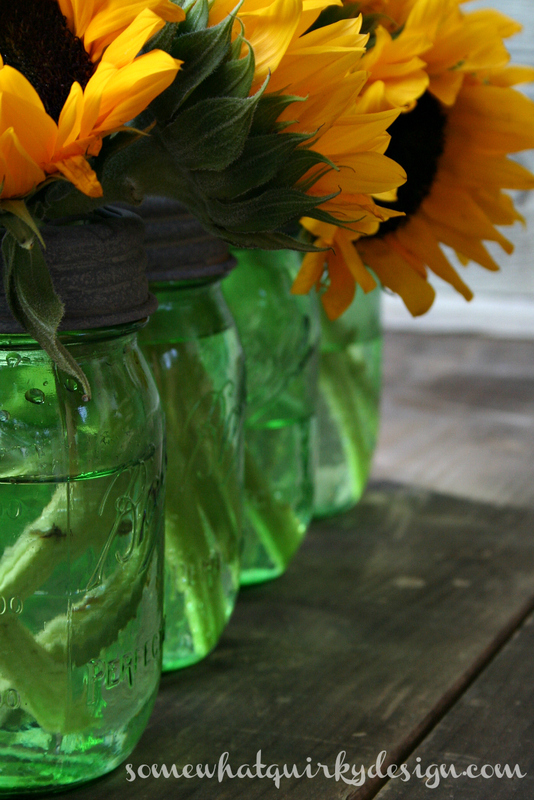 I love canning jars and use them for everything! 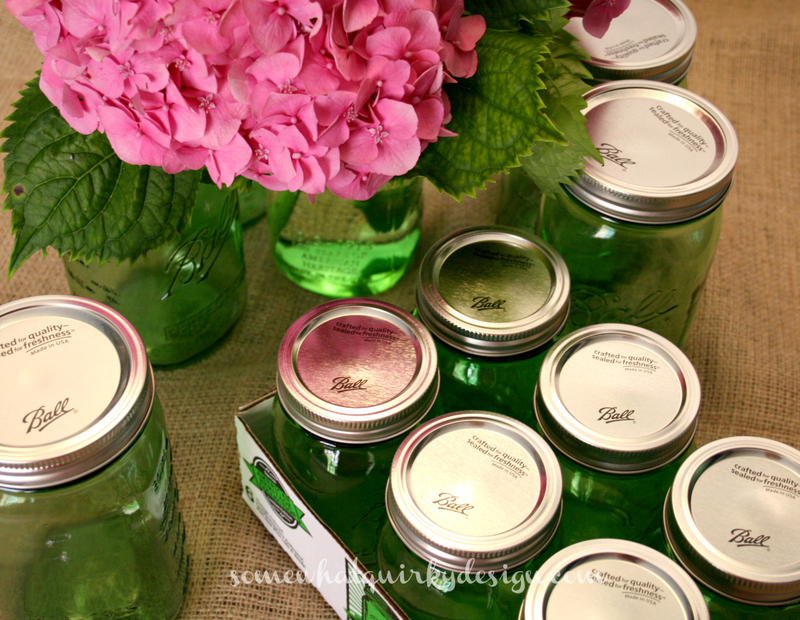 I especially love using my colored jars for flower vases. You can't beat them for a homey look! I had seen your salt box idea (on pinterest I think) but I will definitely make one now. That makes me think of all the edibles I hate leaving in their original packaging - raisins, marshmallows, nuts, etc, so now I am envisioning those items along side of my home canned produce on my pantry shelves. I enjoy your blog very much, and thank your for sharing this give-away!